Play is an important aspect of a child’s development. As parents, we often hear the phrase “learning through play”. What does it mean and how does it help a child in her early development? Have you heard of the term “child’s play”? Well, when a child plays, it’s not just child’s play! Play is a stimulant. It helps a child develop concepts to figure out cause and effect. It enhances their ability in problem solving by helping them to understand how things are connected. It teaches them about team work and turn-taking. 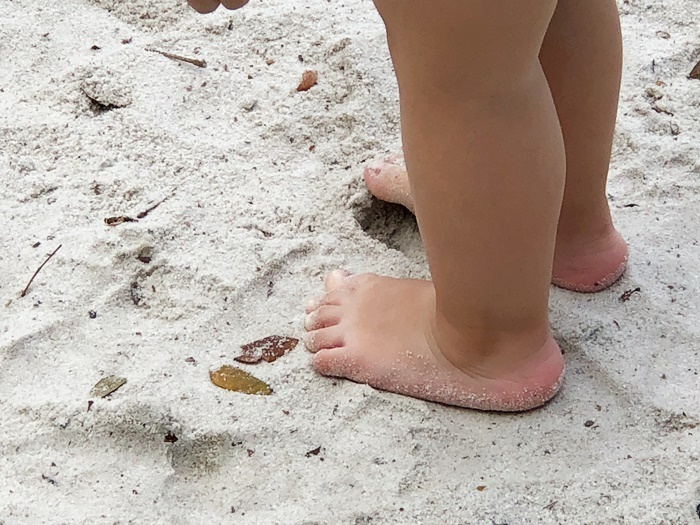 Play arms them with communication, reading, writing, language, social and motor skills – while boosting their self-confidence as they begin to master each task. Now if that’s not a whole lot of benefits for a child’s development, I don’t know what is! Play begins even before baby is born! The random movements they make with seemingly no purpose – yes even when they’re in mummy’s tummy – is the beginning of play. This is when children play on their own without engaging others. 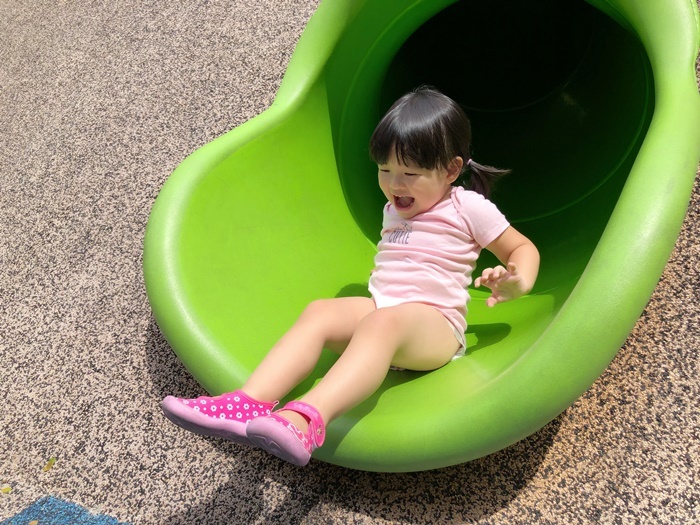 Solitary play starts from the newborn stage and is most common in 2-3-year olds. Cbb does a lot of solitary play even when we’re outdoors at the playground with lots of other kids. 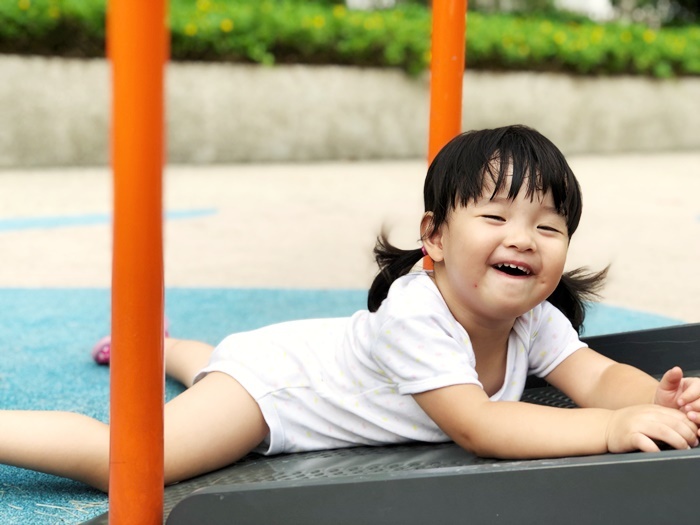 This type of play is important because it teaches kids how to occupy and entertain themselves – it doesn’t mean he or she is bored or lonely. Although most common in toddlerhood because their social, physical and cognitive skills have yet to fully develop, older kids can (and should!) have time for independent play too. 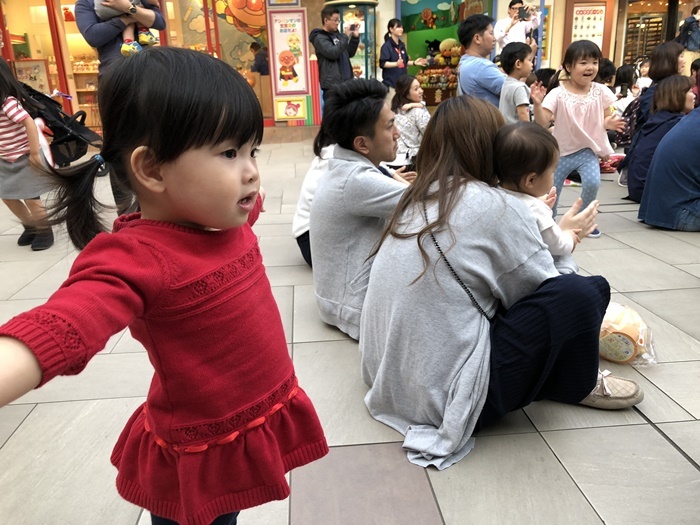 Onlooker play is when a child observes others playing but chooses not to join in the play. 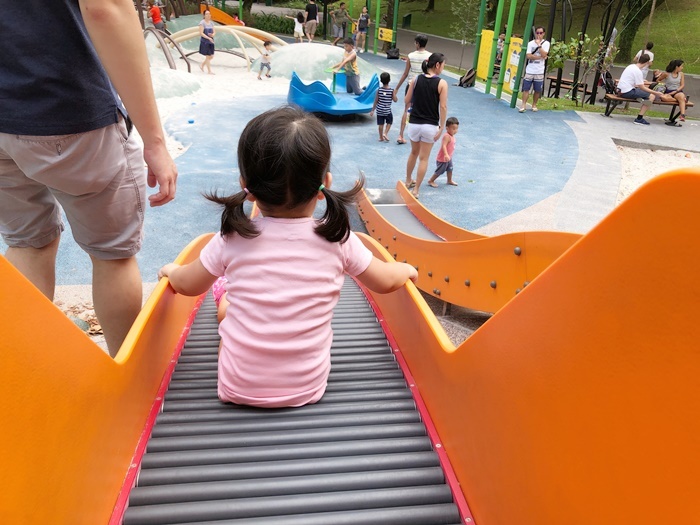 Onlooker play can occur at any age although it’s also more common in toddlerhood. They may ask questions about the activity or watch from a distance – either because they’re shy or are not sure of how to play. And that’s ok! This is when children play at the same time with other children, but do not interact. They could be having different sets of toys and doing their own thing, side-by-side, in the same room. They may look like they’re disinterested in other children, but they’re paying attention – what are other children playing with and how do they approach their toys? This stage is said to be the very start of social play and happens commonly in toddlers. I observe this in Cbb a lot too, especially when she’s in the child care setting. Children start to become more interested in other children when they’re around 3-4 years old. When they become more interactive towards the kids they’re playing with, it’s the beginning of associative play. At this stage, the kids could have a common goal like building blocks together but there are no set rules. This is also when they learn to get along with others. Social play happens when teamwork starts to come into play. Children are now interested in both the activity and the people they’re playing with. This type of play is organised with set guidelines and revolves around achieving group goals or accomplishing specific tasks. It typically begins when a child is around 4 as such play requires a certain level of social maturity. 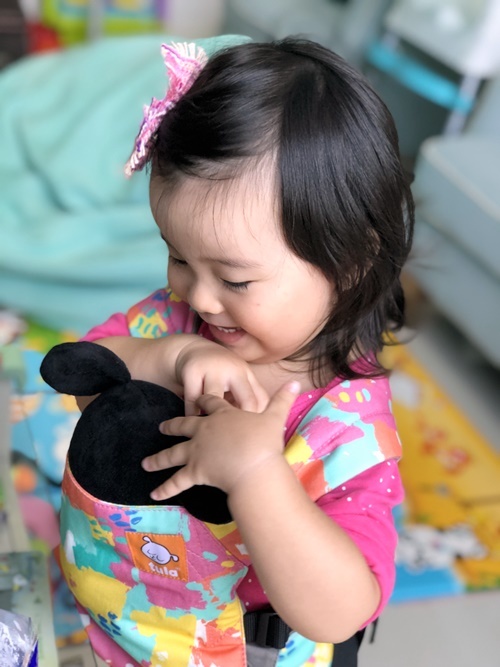 Playing with dolls teaches her a lot about empathy and compassion and helps develop social play skills by learning to care about others. When her doll is “sick”, she places her in her baby carrier and makes sure she’s ok. When her doll is sleepy, she lays her down on her bed and pulls a blanket over her. She even checks back every few minutes to ensure she isn’t feeling cold! These provide opportunities for her to listen and follow directions while learning about words and sound. Music and dance also spur her to move and groove! She’s our resident songbird, and has come up with some signature moves. It’s quite funny! 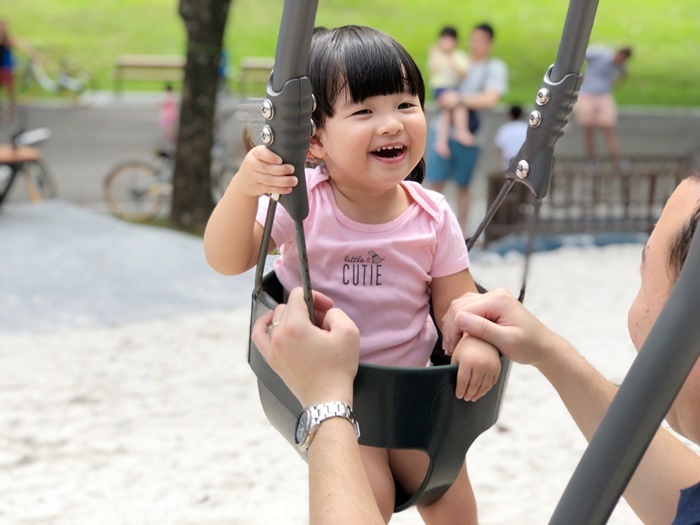 Outdoor play is her ultimate favourite form of play these days. She’s starting to be so active, I can’t catch up! 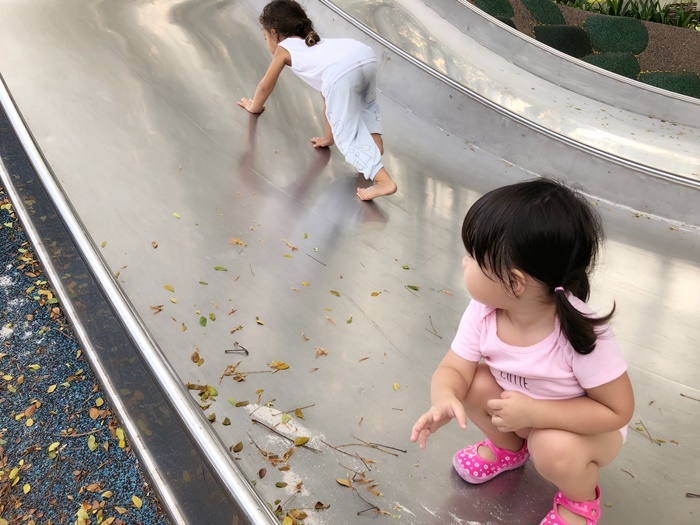 Playing outdoors at playgrounds (we LOVE the mega playground at Admiralty) improves her motor skills as she climbs and slides, and gives her the opportunity to learn to take turns. Safe and age-appropriate challenges increase her confidence and helps her develop resilience through risk-taking. With an active toddler, it’s important to fuel her during her play time! 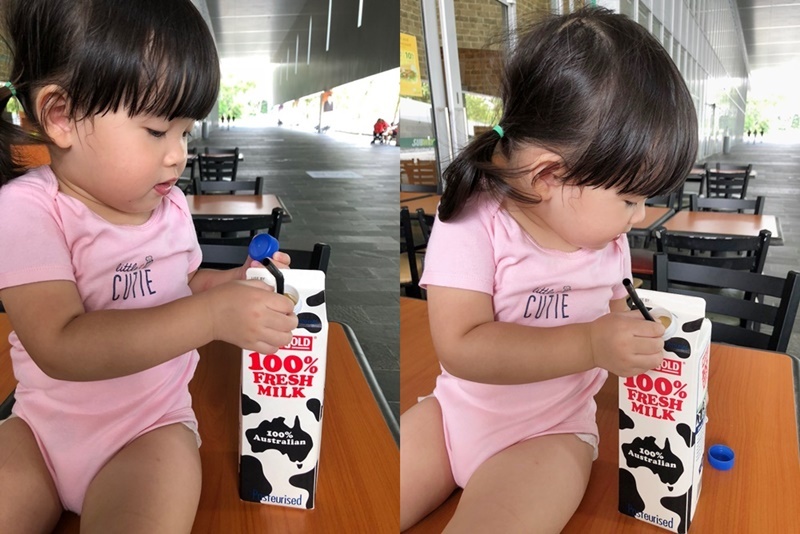 The Health Promotion Board indicates that from 12 months old onwards, your toddler may transit from formula to full cream cow’s milk for its rich levels of protein as well as calcium. Children between 1-2 years old are also recommended to consume 750ml of milk daily. 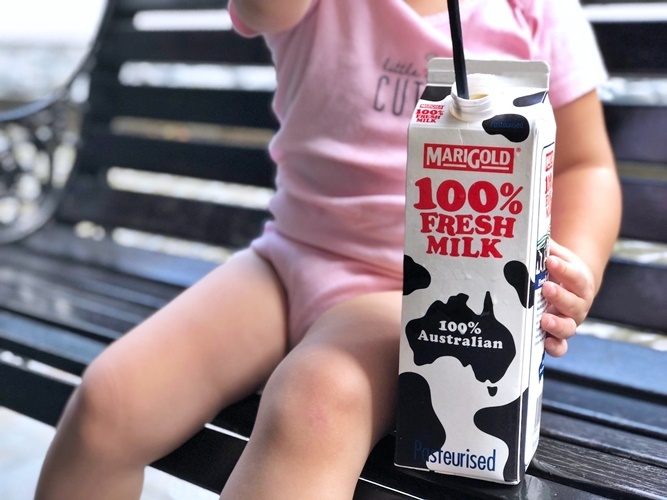 Ever since Cbb turned one, I’ve chosen to give her MARIGOLD 100% Fresh Milk from Australian free-range cows that are free to graze on lush green pastures. She has it with wholesome snacks like fruits, veggie sticks and homemade oat biscuits when she’s taking a break from play! I do warm it up if it’s the first drink she has in the morning. She loves having it cold at other times of the day. 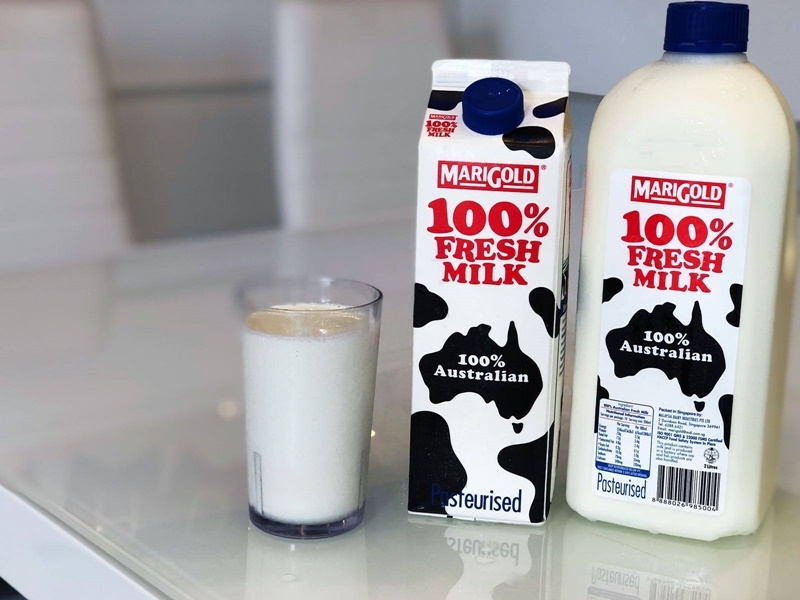 MARIGOLD 100% Fresh Milk is available in 1 and 2 litre packs and are halal certified. Get yours from the chiller section of supermarkets today!